Shelby County Federal Credit Union is now available at over 3,000 locations nationwide with Shared Branching! With shared branching, credit unions from all over the country share facilities to give members thousands of convenient locations to perform transactions just as if they were in their home credit union. Whether you are at work, home, or your favorite travel destination, Shelby County Federal Credit Union is always nearby. 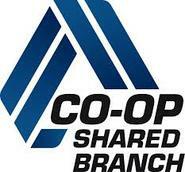 There are no fees for conducting a transaction at the Shared Branch. The funds you deposit at the credit union service center locations may not be available for immediate withdrawal from your credit union account. Holds are based on Shared Branching standard hold policies. Below are 19 shared branches within 30 miles of Memphis. Call for hours of operation.